It is the beginning of Holy Week. This practice reminds us with Passion Sunday, we have entered the solemn Holy Week. 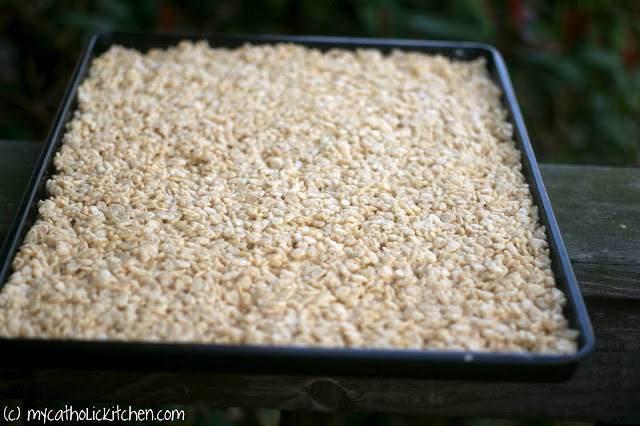 Add Rice Crispy cereal and stir until well coated. Using oiled hands or oiled spatula press evenly into pan that is coated with oil or cooking spray. Allow to cool a couple of hours. You could put them in the refrigerator. When they are firm, using a cross shaped cookie cutter or by hand cut out cross shapes. Cut the purple fruit snacks into strips and drape over crosses. Holy week has arrived. These treats are a great way to start it. So encouraging to eat and share these with the family. 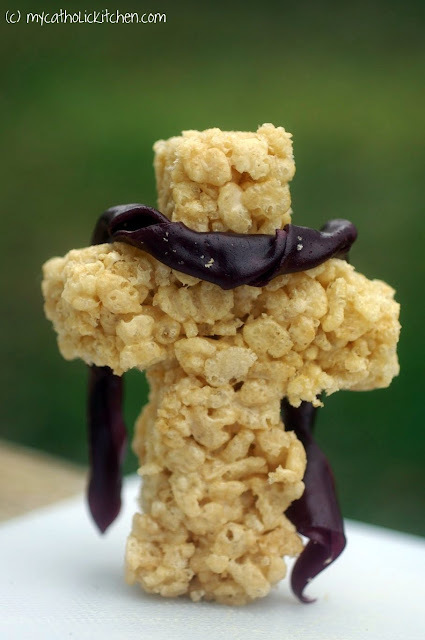 Perfect for Holy Week! And oh, so yummy! I love this–what an easy idea!! Wow, those look so nice. 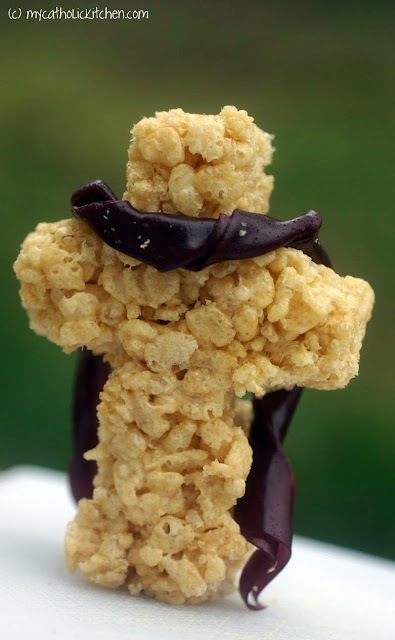 This is the perfect treat for Holy Week! 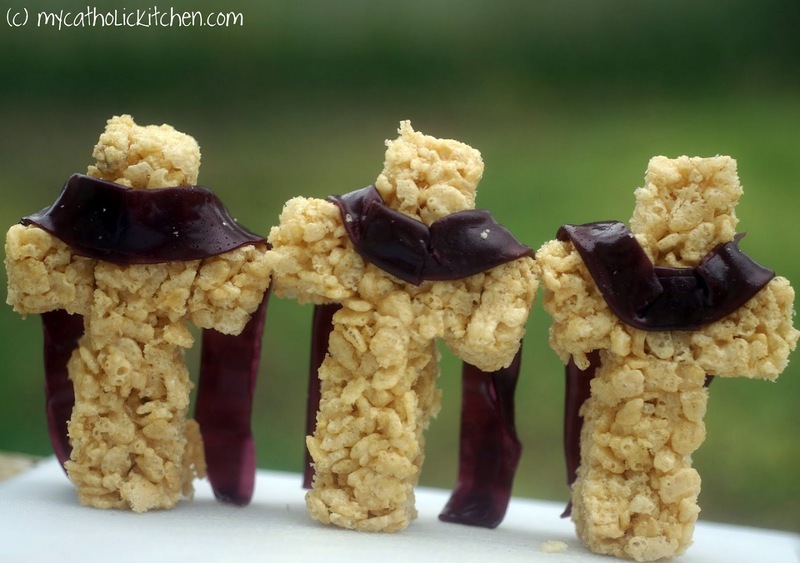 Pingback: 30+ Christ-Centered Easter Activities and Crafts - I Can Teach My Child!